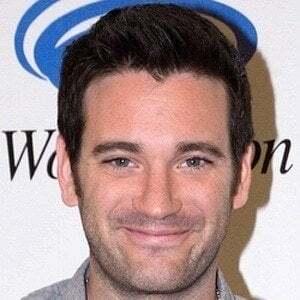 American actor who played the role of Billy Crocker in the musical Anything Goes and the role of Tommy Merlyn on the television series Arrow. 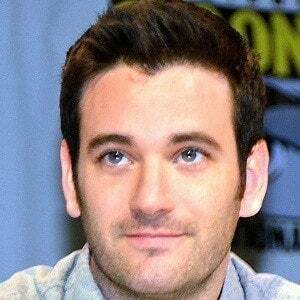 In 2015, he began starring on the NBC series Chicago Med, playing the role of Dr. Connor Rhodes. He learned guitar and took singing lessons at age 17. He put his lessons to use as a member of his high school choir. He has been part of national stage tour productions of shows like Mamma Mia! and Wicked. He was born to a French mother and grew up in St. Louis, Missouri. 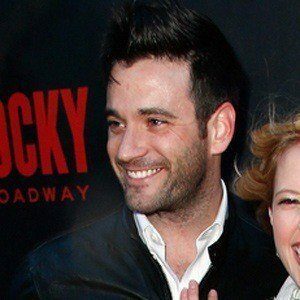 In 2015, he married Patti Murin. 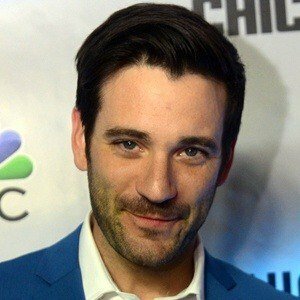 He co-starred with Christina Ricci on the show Pan Am.